Publication of holographic will and testament in Italy. According to the provisions of the Italian Civil Code, the person who is in possession of a holographic will must present it to a notary for the publication, as soon as he knew of the death of the testator. Anyone with a legitimate interest may appeal to the court of the district in which the succession is opened, in order to set a deadline for the presentation of the will. 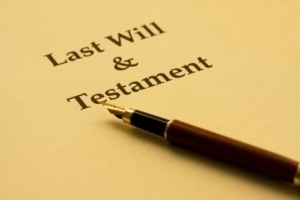 The notary proceeds to the publication of the will in the presence of two witnesses and he drafts a minutes to describe the state of the will. The notary must reproduce the content of the last will and testament and mention its opening if it was presented closed and sealed. Once the will is published by the notary, it can be executed. The publication of the holographic will must be understood as a preparatory act in order to the effective and concrete execution. Therefore, it is not a requirement of the effectiveness of the will. Anyway, after publication, the notary shall notify the existence of the will to the heirs and legatees of which he knows the domicile or residence.